The mobile interface on my iPhone appears to be totally gone - yes the "Mobile One" style is selected. Do you see the button at the bottom to "View Mobile Site"? Got the new mobile skin on my Android phone (Honor 5x, if it matters). Looks good. I like that avatars are visible, but it's weird that they're round instead of square. No big deal. The "DVDTalk" header could be smaller, too. It's a bit oversized. Again, no big deal. One oddity. When you click on a thread, it seems to take you to the last known page you were on, but not always. I clicked on a thread I had never opened before, and it took me to page 39 of 40. On a different thread, page 1. Alternatively, you could do it like this site, where you have an arrow on the right-hand side that accomplishes the same thing. Point being: the option to go right to the end of a long thread with one click (instead of two or more) is ideal. I'm reading this on my iPad using the old layout. I might check out the mobile version, but I'll probably stick with what I'm used to. Thanks, I see that now. I had been using the "new posts" link and it doesn't show up when you do that. 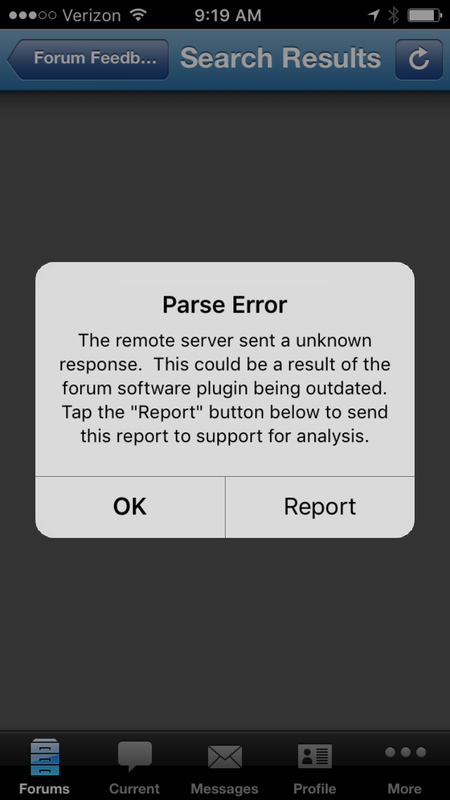 The remote serve sent a [sic] unknown response. This could be a result of the forum software plugin being outdated. Tape the"Report" button below to send this report to support for analysis. 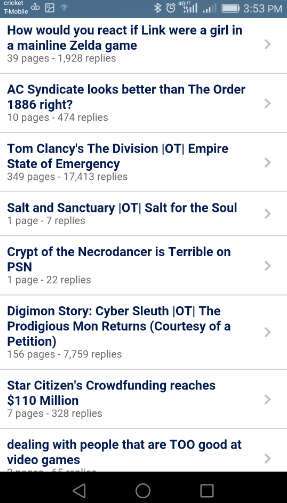 I like the new mobile site for the most part. Only minor complaint I have is that when viewing a thread you can only go to the first or last page. If you want to go to a previous or next page you have to put in the number you want to go to. Not a huge deal but it'd be nice to have the options there for previous and next as sometimes I want to read a page or two before the last if I haven't visited a thread in a while. OK, just realized that it's no longer on ForumRunner and went to the mobile site via Safari on my iPhone. It will take a bit to get used to, but it seems workable enough. Where did you get this mobile style? Did you guys custom code it? Or is it available somewhere? Interested for my own forum. Actually, this is super dumb. I won't use the mobile site because of it. Hopefully it'll get fixed soon, as not having a "next page" button is some pretty basic Internet stuff. Actually, it automatically loads the next/previous page if you just scroll to the bottom or top of the screen. For example, if you go to the last page, simply scroll down a half screen, then scroll back up, and the previous page will be loaded above your current position. Yeah I figured that out after a bit. It's pretty much a non issue for me now knowing that. The text and screen is stupidly small on my Nexus 5X. Looks fine on my iPhone 6. Anyone else with an Android phone seeing that? EDIT: Weird, going to the full site and back to mobile fixed it. Nevermind then! Huh. The first few times I looked at it it just sat at the bottom of the first page and didn't advance. But I guess I just wasn't scrolling hard enough or something. Thanks for the tip! I still don't like mobile sites in general and its big enough on my 6 Plus to read the normal site just fine but you're right, that does work! Thanks! It's not a big deal or anything, but search doesn't seem to work in ForumRunner. Forumrunner is now officially no longer supported. View Next Unread Post reply issue?